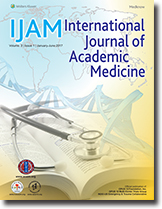 Objective: This paper explores the complexity and costs associated with quality reporting at a large, tertiary Academic Medical Center (AMC). Methods: For each quality measure reported during fiscal year (FY) 2014, we noted the associated agency or registry and any repeated use of identical measures (measure overlap). In addition, the cost of quality reporting was examined – including personnel, registry expenses, and rewards and penalties. Results: The AMC reported over 1600 unique measures to 49 different sources; measure overlap was 9%. This effort cost $2,367,168, including 24.8 full-time equivalent employees hired specifically to conduct or support quality reporting. Pay-for-performance rewards and penalties totaled $29,197. As a result, $2,337,971 was the FY 2014 cost of quality reporting. Conclusions: There are financial and personnel burdens associated with quality reporting and considerable inefficiencies. As the number of metrics increase, measures need to be carefully assessed, standardized across agencies, and incorporated into electronic health records. The following core competencies are addressed in this article: Systems-based practice, Practice-based learning and improvement. Introduction: Intentional ingestion of foreign objects (IIFO) is prevalent among U.S. prisoners. IIFOs often require surgical or endoscopic interventions, extended hospital stays, and may result in significant morbidity or even mortality. Although psychiatric illness is prevalent among prisoners engaging in IIFO, this association remains poorly defined. The aim of this study is to describe the psychiatric illness profile among prisoners diagnosed with IIFO. We hypothesized that repeated episodes of IIFO are associated with an escalating pattern of documented psychiatric illness. Methods: After approvals were obtained from our Institutional Review Board and the Ohio Department of Rehabilitation and Correction, a retrospective study was conducted of prisoners presenting to our facility with IIFO between 2004 and 2011. All historical and concurrent psychiatric diagnoses were abstracted from the medical record and classified into Diagnostic and Statistical Manual of Mental Disorders-Fourth Edition based categories. In addition, medical history, alcohol/drug use, and prior episodes of IIFO were recorded. Statistical analyses included Chi-square and Kruskal–Wallis tests for categorical and continuous data, respectively. Results: We analyzed 136 IIFO episodes involving 27 patients. Repeat IIFO episodes were associated with an increasing number of psychiatric diagnoses. Patients with their fifth or later IIFO had a larger number of psychiatric diagnoses and the number of objects ingested as compared to patients presenting with a first episode (P < 0.01). Similarly, patients who went on to present with additional episodes of IIFO during the study had more psychiatric diagnoses identified throughout their visits (P < 0.01). The proportion of patients with mood and anxiety disorders (including post-traumatic stress) was progressively greater among prisoners with recurrent episodes of IIFO (P < 0.05). 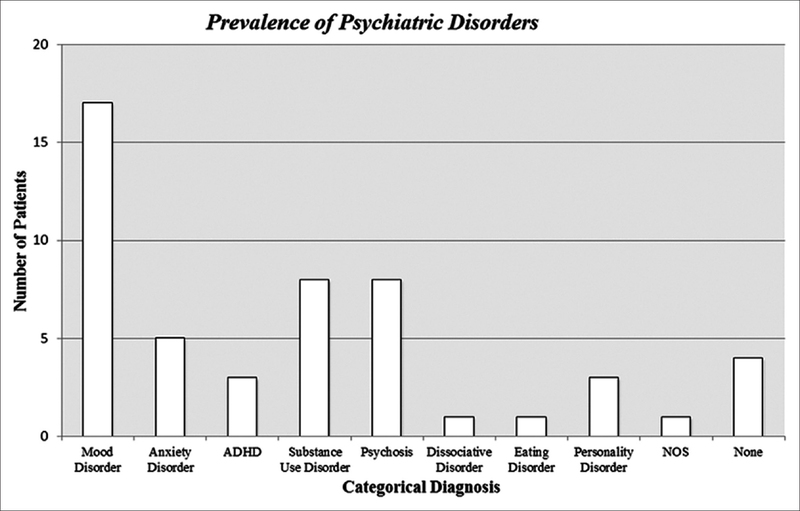 Other psychiatric disorders were not significantly associated with IIFO escalation. Conclusions: We observed a significant association between IIFO recurrences and increases in both the quantity of ingested items and the number of documented psychiatric diagnoses. Of note, psychiatric diagnoses of malingering or secondary gain were not identified in the current patient sample. Consideration of early psychiatric evaluation and intervention in the setting of IIFO, especially recurrent IIFO, is strongly encouraged. The following core competencies are addressed in this article: Medical knowledge, Patient care, Systems-based practice. Study Design: Cross-sectional correlational. Objectives: Examine the relationship between the STarT Back Screening Tool (SBST) and the Focus on Therapeutic Outcomes (FOTO) functional status questionnaire in patients with low back pain (LBP). Background: LBP is one of the most common and costly orthopedic conditions in the health-care system, but the diagnosis, prognosis, and treatment are unclear and uncertain. Tools such as the SBST and FOTO have been developed as a way to subclassify individuals with LBP to determine prognosis and stratify care. Methods: The SBST and FOTO questionnaires were administered during the initial consultation with a physical therapist for a chief complaint of LBP. Kendall's tau-c coefficient was calculated for correlation between the SBST risk stratification and FOTO functional staging. Kappa coefficient was calculated for correlation between the dichotomized SBST psychosocial subscale and the dichotomous fear avoidance level derived from the FOTO questionnaire. Results: A total of 65 patients were included in the final analysis ranging in age from 18 to 89 years. The correlation between SBST risk level and FOTO functional staging was poor (Kendall's tau-c = 0.406, P < 0.001) and the correlation between elevated fear-avoidance and high psychosocial distress was also poor (K = 0.099, P = 0.335). Conclusion: The poor inverse relationship between the SBST and FOTO demonstrates that both tools should be used concurrently to complement each other to effectively subclassify patients with LBP. 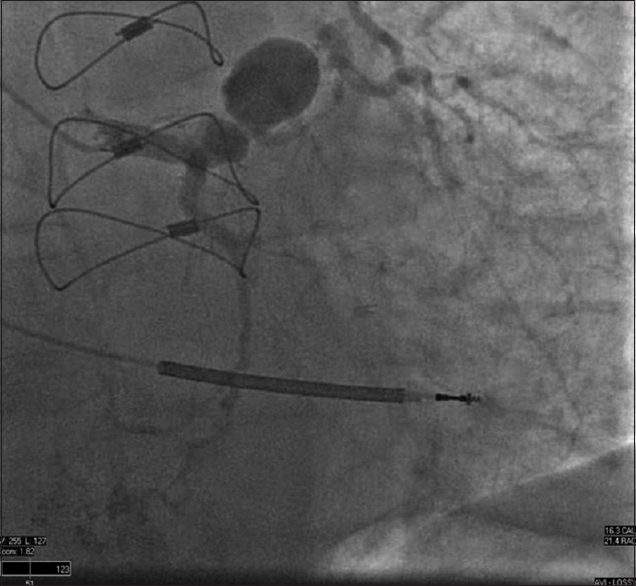 Future efforts may want to focus on integrating constructs from the SBST into the FOTO computerized adaptive test to improve risk stratification. The following core competencies are addressed in this article: Medical knowledge, Patient care, Practice-based learning and improvement. Background: Resective surgery is efficacious in treating intractable epilepsy when an epileptogenic focus is accurately identified. Invasive monitoring is crucial when noninvasive studies are indeterminate or nonconcordant. Objective: Some patients do not progress to definitive surgery, following invasive monitoring; we aim to elucidate predictive characteristics and determine long-term outcome. 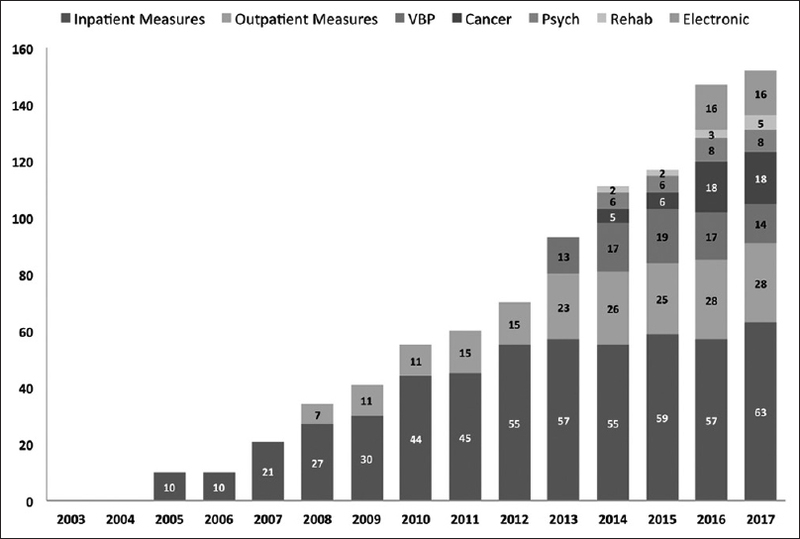 Methods: Characteristics of patients in the Institutional Review Board-approved Rush University Surgical Epilepsy database who underwent invasive electroencephalography monitoring for were retrospectively analyzed to determine premonitoring factors correlating with nonprogression to definitive surgery. Results: Among 127 patients analyzed, 112 underwent resective surgery and 15 did not. Seizure freedom (Engel Class I) was realized in 63% of the surgery group and 7% of the nonsurgical group. The most common reason for not undergoing resective surgery was indeterminate epileptogenic focus localization. Factors correlating with nonprogression to surgery included bilateral pathology (P = 0.023), and factors exhibiting a trend include location, with frontal and parietal having lowest operative rates, and female gender. Conclusions: In all patient categories studied, subgroups that progressed to therapeutic surgery had better outcomes than those that did not. Lengthening invasive monitoring duration, employing newer diagnostic technologies for better seizure localization, and optimization of patient selection should be explored to improve overall outcomes. The following core competencies are addressed in this article: Medical knowledge, Patient care, Practice-based learning and improvement, Systems-based practice. Background: Mental health and behavioral emergencies account for approximately 7% of emergency department visits for pediatric patients. Patients with mental health emergencies requiring inpatient admission pose a particular challenge to emergency clinicians. Patients must be “medically cleared” and criteria for medical clearance vary from hospital to hospital, and can change quickly within hospitals as well. Furthermore, psychiatric hospitals have exclusionary criteria, limiting the patients who can be transferred for psychiatric inpatient care. 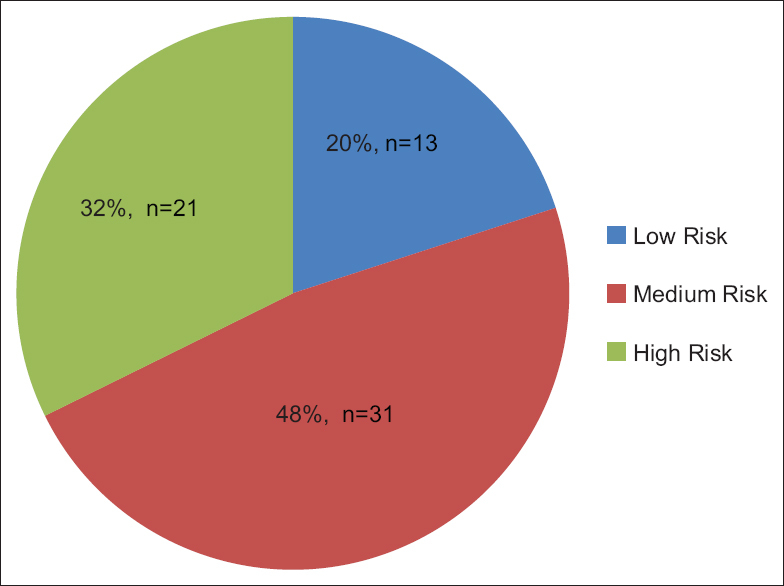 The objective of this study was to describe the exclusionary criteria and requirements for medical clearance in pediatric patients with mental illness in one large U.S. city. Methods: The exclusionary criteria and required laboratory and ancillary testing of all psychiatric inpatient hospitals accepting pediatric patients in Houston, Texas were catalogued. 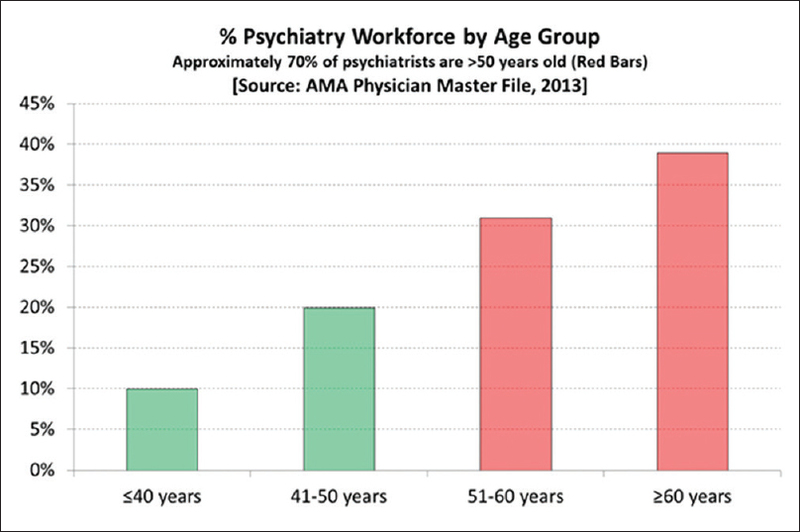 Results: Seven psychiatric hospitals accept pediatric patients and the requirements for admission vary by hospital. No hospitals accept patients with severe intellectual disabilities or autism or patients unable to independently perform activities of daily living. One hospital accepts pregnant patients. Hospitals have different testing requirements for medical clearance with the majority requiring a complete blood count, creatinine phosphokinase and blood alcohol level. Discussion: We have identified multiple vulnerable populations, including intellectually disabled and patients with autism, who cannot be admitted for necessary psychiatric inpatient treatment and subsequently require emergency department boarding until an alternate treatment plan can be developed. Emergency departments are not an ideal therapeutic environment for patients with psychiatric emergencies, especially patients with intellectual disabilities and autism. Facilities able to provide specialized care are needed. Furthermore, we suggest that national guidelines be developed to standardize an evidence-based medical clearance process. The following core competencies are addressed in this article: Patient care, Systems-based practice. Background: The rising rate of physician burnout and decreased interest in pursuing careers in academic medicine has popularized the option of part-time faculty (PTF). However, the current status and role of PTF in academic surgical departments are not well-defined. Methodology: A survey was conducted to gather the perspectives of Canadian Surgical Department chairs in academic centers on the current status and role of PTF. Particularly, chairmen were asked to rate the advantages and disadvantages, perceived challenges, contributions, and overall satisfaction of PTF (on a 5-point Likert scale). Results: Forty-eight percent (40/83) of surveys were completed by surgical department chairmen. There was a large variety of responses for the advantages and disadvantages and challenges of PTF. Full-time faculty (FTF) was reported to contribute significantly more to research and teaching than PTF (85% and 12% for research, respectively, P < 0.01; 90% and 53% for teaching, respectively, P < 0.01). Despite a decreased contribution to research and teaching as compared to FTF, PTF was reported to enhance the quality and diversity of the faculty. Overall, satisfaction varied largely, with chairmen reporting greater satisfaction for FTF over PTF (P < 0.01). Discussion: The definition of PTF varied among chairmen, most being categorized into themes of time commitment, practice location, and salary. As a result, the variance in the precise role of what constitutes a PTF appears to contribute to the diverse perceptions of chairmen. The differences in contributions to the department among FTF and PTF appear nuanced. For instance, PTF was found to provide quality teaching; however, to a lesser extent than FTF. Conclusion: The perceived status of PTF within Canadian academic Surgical Departments is highly variable among chairmen. The following core competencies are addressed in this article: System-based practice, Professionalism, and Patient care. 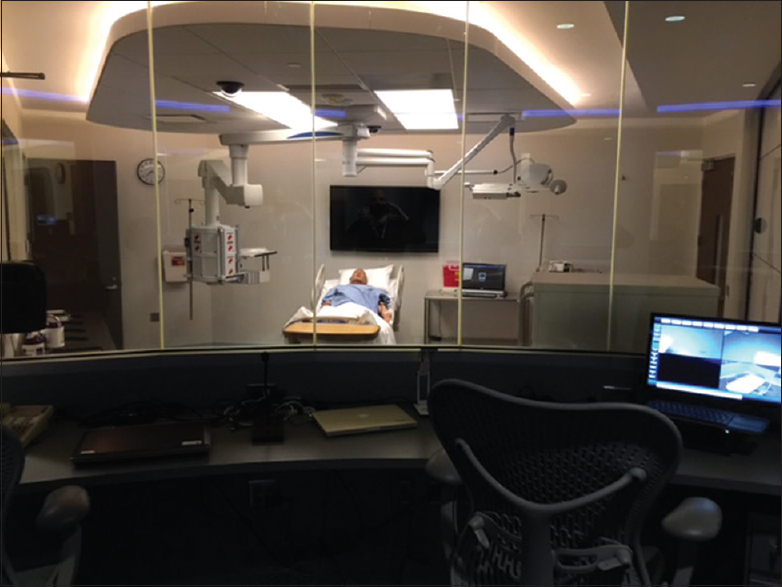 Simulation as a tool for medical student education has long been valued for its ability to provide realistic standardized experiences to learners in a controlled environment without exposing patients to harm. Consequently, the use of simulation-based medical education (SBME) has greatly expanded over the last decade. While traditional simulation for medical education has been limited to procedural training, increasingly its scope has expanded to include instruction for preclinical curricular elements. Technological advances in health-care simulation have allowed for activities that can enhance or even replace traditional basic science content. This has coincided with a shift in medical school curricula to include early clinical experiences, which only further increases the demand for medical student simulation. This article is the result of both the authors' experiences as well a synopsis of a literature search of both reviews as well as original research related to SBME for preclinical medical students. Different simulation modalities including partial task trainers, standardized patients, virtual patient, and high-fidelity simulation are all discussed. The following core competencies are addressed in this article: Patient care, Medical knowledge, Practice-based learning and improvement, and Interpersonal and communication skills. Simulation is a vital tool in the assessment and training of medical professionals and those in high-risk fields. Simulation-based education provides medical students an opportunity to learn crisis management and team-building skills in an environment that poses no risk to actual patients. Students are given exposure to high-intensity medical scenarios which require and encourage critical thinking and advanced interpersonal communication skills. They are also provided with immediate feedback through debriefing and an opportunity to apply new skills through the reproducibility of rare cases. The benefits of simulation in the training of medical students during their rotations through their anesthesia electives are infrequently assessed. We expose 3rd- and 4th-year medical students to our MetiMan Prehospital model mannequin for simulation. The simulations included pulmonary embolism, airway fire, and malignant hyperthermia. We used these simulated scenarios as tools for practical teaching and exposure to uncommon events. As assessed in follow-up evaluations, the medical students found the simulations useful in the immediate application of clinical skills during their patient encounters through their rotation. The purpose of this article is to review the benefits of simulation in high-risk fields and highlight its value in the medical education of students during their anesthesiology elective. The following core competencies sare addressed in this article: Patient care, Practice-based learning and improvement, Medical knowledge, Interpersonal and communication skills. Scenario creation is fundamental to simulation. An effective design is necessary to optimize training. 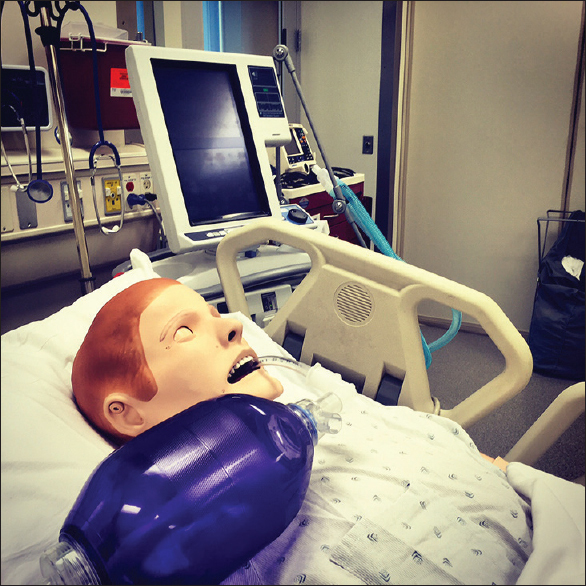 This paper describes the process of creating and applying mannequin-based high-fidelity simulation case scenarios for a graduate program in anesthesiology. The objective of scenario building is to provide an opportunity for trainees to learn the management of both common and rare case scenarios to better prepare them for the written and applied board examinations and real-life situations. Scenario development for high-fidelity simulation requires assembling all the elements to recreate a realistic environment while considering the trainees' different learning styles. The goal is to create scenarios that help the learner build knowledge, skills, and confidence. The following core competencies area addressed in this article: Patient care, Interpersonal and communication skills, Systems-based practice. 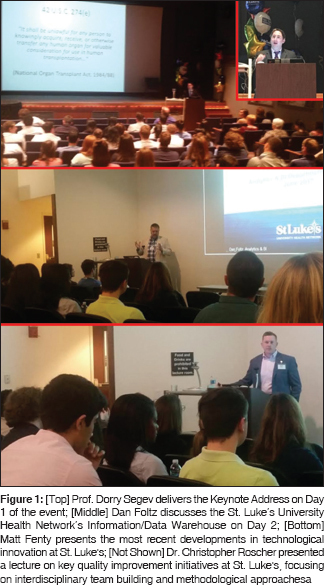 Medical simulation has become an integral part of the training of medical students, residents, and faculty. While our traditional sense of medical simulation involves scenarios, manikins, resuscitation, and procedures, we must now expand this vision. With the development of the electronic medical record and the resultant large data sets (“Big Data”) that encompass each patient's record, there is an opportunity to engage in the modeling and prediction of individual patient outcomes and trajectories of care. 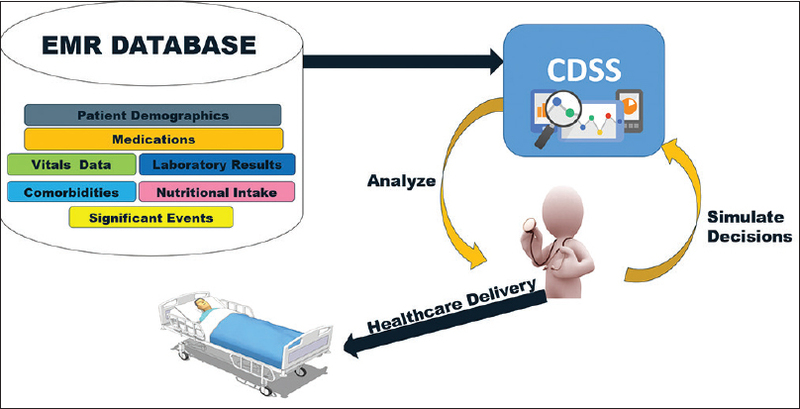 Here, medical simulation delves into the arena of clinical decision support systems (CDSSs) which leverage advanced algorithms, analytics, and machine learning approaches. The advent and continued adoption of health information technologies such as CDSSs into real-world health-care operations can lead to improved patient care, safety, and cost savings. 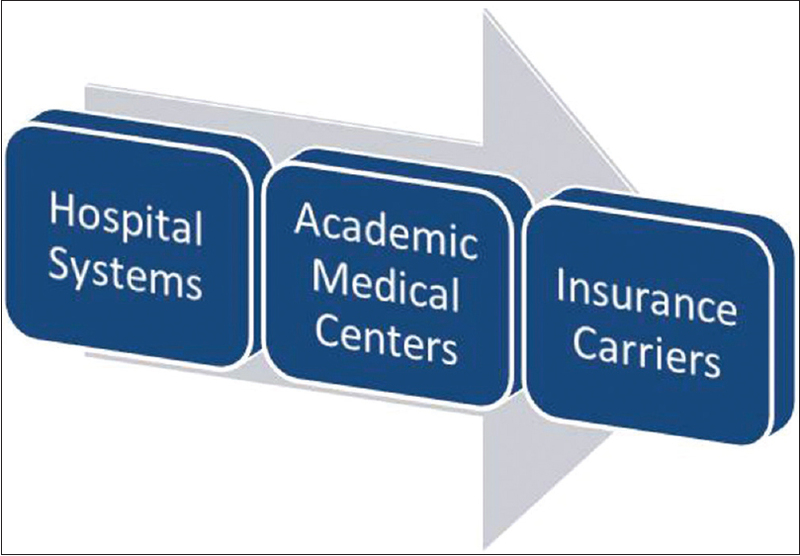 The following core competencies are addressed in this article: System-based practice, Practice-based learning, and Patient care. One well-established challenge for medical educators and surgeons is maintaining patient safety during a period of widespread surgical skill acquisition. The incongruity between evidence-based recommendations and real-world practice highlights the inadequacy of our current continuing medical education (CME) tradition, which consists of short courses and preceptored practice. The effectiveness of short courses for surgical skill training has been questioned many times since the beginning of the laparoscopic revolution. 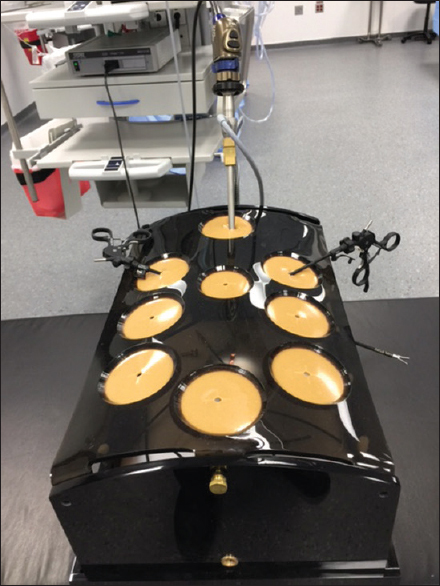 Laparoscopic simulation trainers also offer pedagogical advantages over other CME formats because they are learner centric, allowing for skill acquisition and improvement without the responsibility of patient care. Ongoing research is providing new evidence that simulation is of paramount importance to continuing professional development as it has been in graduate medical education. After briefly outlining the limitations of our current surgical CME paradigm, this paper will suggest that medical simulation using laparoscopic simulation trainers is a powerful yet underutilized adjunct to the current methods of surgical training for the practicing community surgeon. The following core competencies are addressed in this article: Patient care, Medical knowledge, Practice-based learning and improvement. 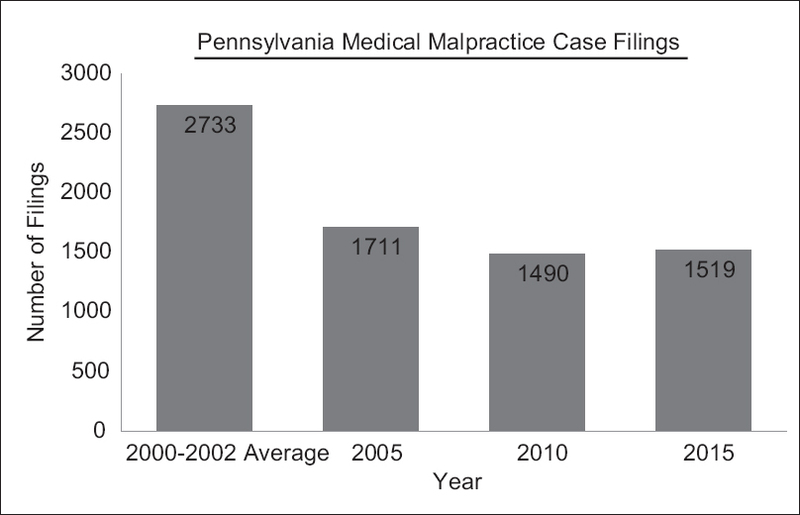 Minimally invasive surgery continues to grow in terms of overall case volumes and clinical applications, with ever-evolving operative indications. Despite obvious advantages, numerous implementation challenges and diverse complications associated with laparoscopy exist. The understanding of technical nuances, anesthesia-related considerations, and perioperative physiologic alterations is paramount to acquisition and maintenance of skills for minimally invasive surgery specialists. To effectively meet the increasing demand for laparoscopic procedures, it is important that surgeons are adequately trained in operative techniques, requisite cognitive skills, safety practices, and the management of associated complications. This task can be accomplished through medical simulation of appropriate scenarios which can emphasize education and prevention in a safe learning environment. This focused review outlines key complications of laparoscopy and how medical simulation can be of assistance in the residents' educational experience. The following core competencies are addressed in this article: Medical knowledge, Patient care, Practice-based learning and improvement, Systems-based practice. Simulation is becoming an increasingly important tool in medical education. Specifically, multidisciplinary team-based simulation exercises are being used to promote teamwork and communication among various members of care teams. Similar to its use in the aviation industry, this type of team building simulation has shown promising results in improving teamwork and improving patient safety outcomes. 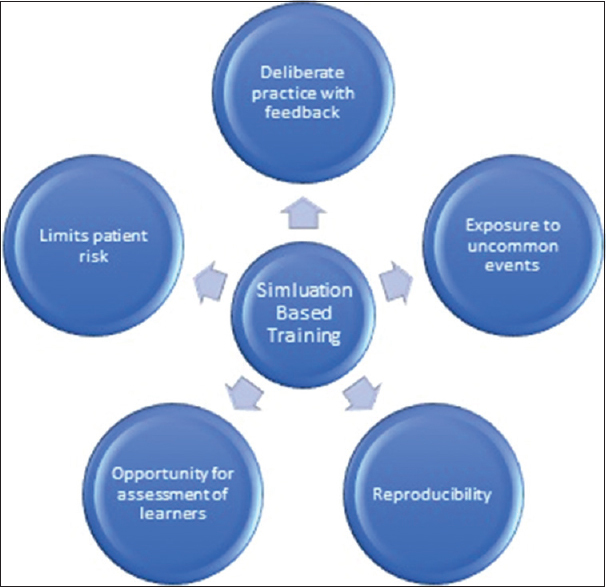 Several key players in the health-care setting, including hospitals and malpractice insurance providers, have recognized these benefits and are promoting the use of multidisciplinary simulation for staff training. Despite several barriers to implementation, the use of multidisciplinary simulation will be an important part of a new emerging model of medical education. The following core competencies are addressed in this article: Patient care, Interpersonal and communication skills, Systems-based practice. In healthcare research, it is common to compare two methods of measurement to determine the overall degree of agreement. 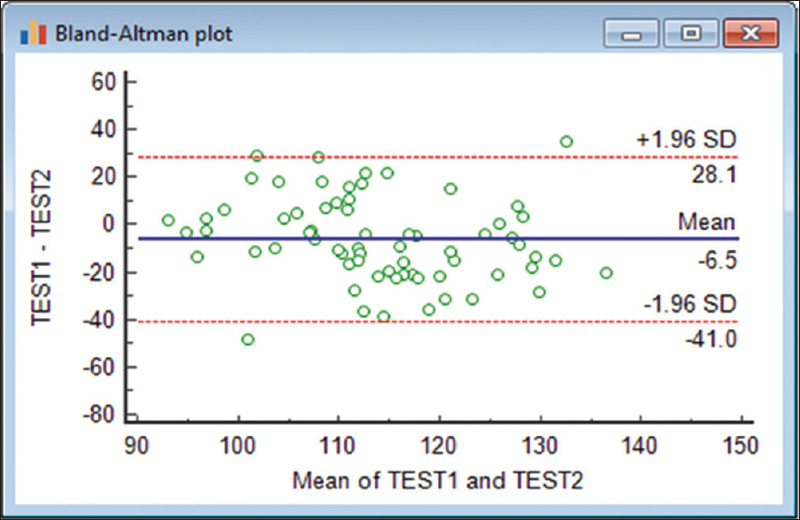 The Bland–Altman (BA) plot is an alternative to traditional correlational analyses. The BA plot portrays the agreement graphically by creating statistical limits of agreement using the mean and standard deviation of the differences between two measurements. The difference (Test #1 − Test #2) is constructed on the vertical axis while the mean ([Test #1 + Test #2]/2) is depicted on the horizontal axis. Within this plot, one can detect bias between the mean differences, as well as estimate an agreement interval. If the data points are normally distributed, 95% of differences will lie between the limits, but smaller sample sizes may be unreliable for estimating larger population parameters. Although nonparametric methods can estimate limits of agreement with nonnormally distributed data, they may be less reliable than logarithmically transforming the data before creating the plot. The following core competencies are addressed in this article: Practice-based learning and improvement, Medical knowledge. 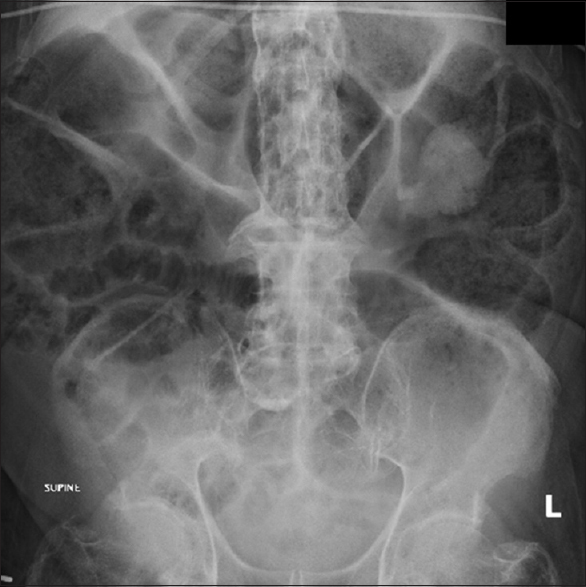 We present a 71-year-old Caucasian female who presented with right upper quadrant abdominal pain and flank pain. 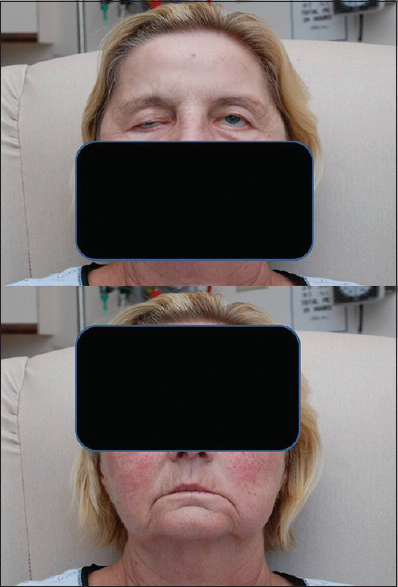 As an inpatient, she subsequently developed bilateral facial palsy. After extensive workup, she was diagnosed with neurosarcoidosis. We present an algorithmic approach to diagnosing facial palsy and specific consideration when bilateral. Bilateral facial palsy accounts for <2% of all facial palsies. Unlike unilateral facial palsy, bilateral facial palsy is often associated with significant underlying disease. This systematic approach was helpful in providing the diagnosis of neurosarcoidosis and review of the disease helped confirm the diagnosis and direct further workup. The following core competencies are addressed in this article: Patient care, Medical knowledge. Airway management is a unique and a defining element to the specialty of emergency medicine. There is no doubt regarding the significance of establishing a patent airway in the critically ill patient in the emergency department. Failure to secure the airway can drastically increase the morbidity and mortality of the patient within few minutes. Cannot intubate and cannot ventilate situation is a nightmare to all emergency physicians. Hence, knowledge of alternative measures to secure the airway and ventilate the patient is necessary. Prompt decision to proceed for emergency surgical airway (cricothyroidotomy or tracheostomy) is one of the utmost important rescue measures under such circumstances. Hesitating to perform this procedure may lead to repeated unsuccessful attempts at oral-tracheal intubation and inadvertently to hypoxia and subsequent brain damage and death. To an emergency physician, the main responsibility is to provide critical care and a definitive airway to all patients, regardless of the cause of their presentation. Here, we report a fatal case of hair dye poisoning that presented with severe angioedema and airway compromise. The most important take-home message from this case report is that every emergency physician should have the ability to predict “difficult airway” and recognize “failed airway” very early and be skilled in performing rescue techniques when routine oral-tracheal intubation fails. Any delay at any step in the “failed airway” management algorithm may not save the critically ill dying patient. In our patient, though we predicted the “difficult airway,” her brain had sustained irreversible hypoxic damage before we could provide oxygenation and ventilation. The following core competencies are addressed in this article: Medical knowledge, Patient care. Café-au-lait macules (CALMs) are clinically significant presentations of isolated hyperpigmentation whose mechanism evades discovery. 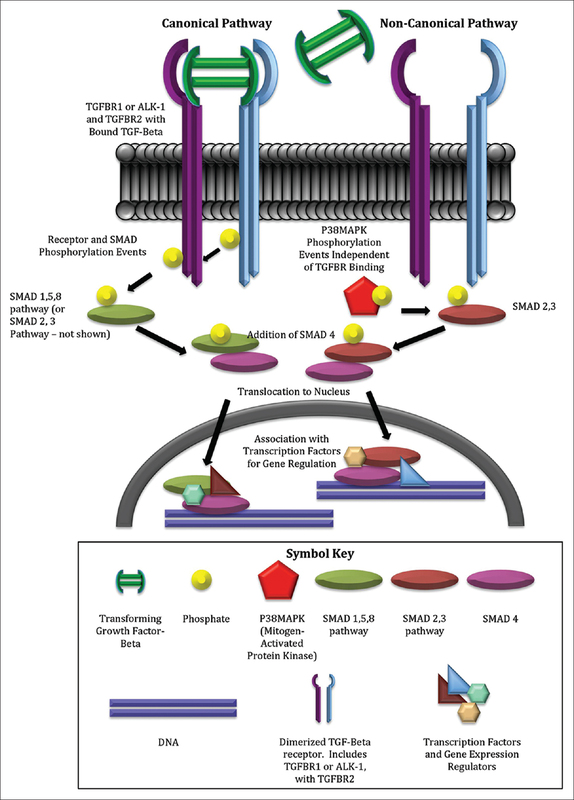 While not always of pathogenic origin, CALMs manifest in a number of diseases, implying a diversely regulated and interconnected developmental pathway. 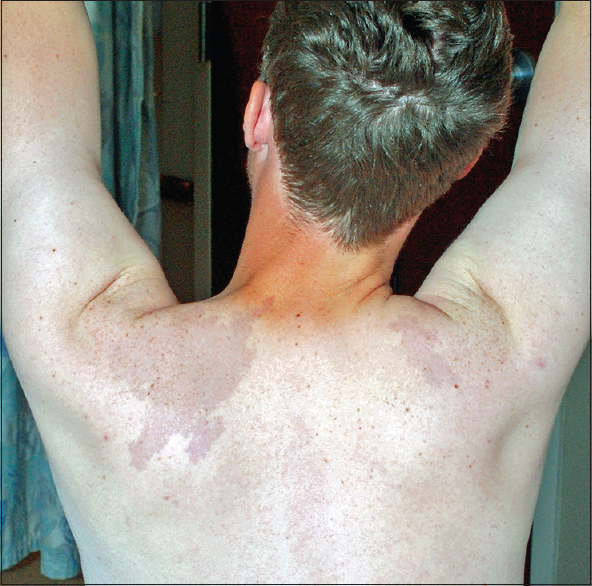 In this paper, we highlight a patient presenting with an undiagnosed, systemic condition and multiple CALMs as a backdrop for approaching the pathogenesis of hyperpigmentation. We underscore the key players in melanogenesis with the goal of better elucidating the mechanisms involved in pathogenic CALMs. The following core competencies are addressed in this article: Patient care, Medical knowledge. Connective tissue (CT) is essential for maintaining the functional integrity of the human body. Diseases due to CT malfunction are usually associated with deregulation at the molecular level, corresponding to essential components of the extracellular matrix (ECM). While many conditions have been identified and categorized, the complexity of the ECM yields many yet unclassified possibilities that could manifest as systemic disease. In this paper, we highlight a patient's presentation with systemic disease as a means to explore possible, unclassified ECM aberrations that hold promise as ubiquitous CT disruptors. The following core competencies are addressed in this article: Patient care, Medical knowledge. Constructing a meaningful differential diagnosis for systemic conditions poses challenges to a medical team. While there are certain classifications of disease known for multiorgan manifestation, a thorough differential requires physicians to examine all possible symptom etiologies, especially when the symptoms are life-threatening. We present a patient with a diverse constellation of symptoms yet to be consolidated into a diagnosis. Our discussion examines the contribution of each symptom to a possible diagnosis while attempting to identify trends between the symptoms that might yield clues to the etiology of his/her condition. The following core competencies sare addressed in this article: Medical knowledge, Patient care. Creating an efficacious management plan for a patient with an undiagnosed disorder requires vigilance to presenting symptoms while attempting to predict future complications. This requires apt attention by both the clinician and the patient, which is often challenging to achieve. In this final segment of our case report, we present a theoretical treatment approach for our 26-year-old patient with an undiagnosed systemic disorder. Under the premise that, he is afflicted with some sort of connective tissue disease, we formulate a management plan targeting the best prophylactic measures for each of his symptoms. Only with a definitive diagnosis, however, will we be able to best focus our efforts to offsetting his disease progression. The following core competencies are addressed in this article: Patient care, Medical knowledge. 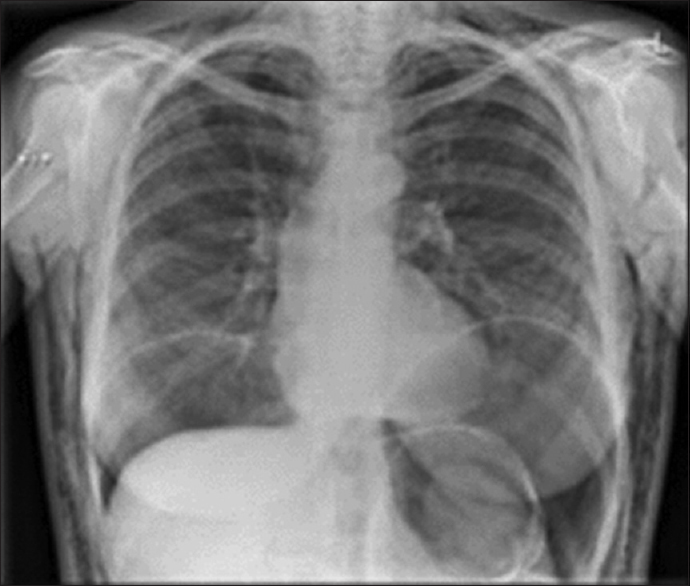 Giant megacolon (GMC), an advanced form of chronic megacolon, is an uncommon diagnosis that may evolve into a surgical emergency. Here, we demonstrate a case of an elderly male who presented to our hospital with complaints of acute abdominal distention and diffuse abdominal pain. He was emergently taken to the operating room where necrotic cecum was found. The patient underwent total abdominal colectomy with end ileostomy. Radiographic and operative images of GMC are presented. The authors also discuss the pathophysiology and clinical management of this surgical condition. The following core competencies are addressed in this article: Medical knowledge, Patient care. We report a 68-year-old female who presented to the cardiology clinic with ventricular tachycardia and specific finger nail abnormalities including proximal capillary loops and proximal and periungual erythema. 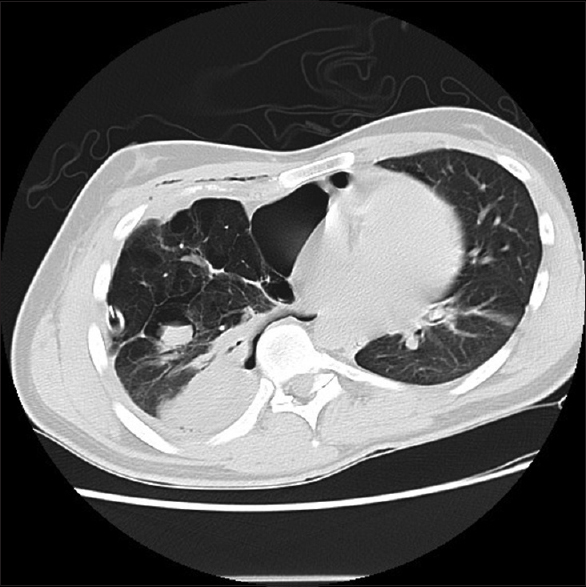 The patient had multiple underlying connective tissue disorders and pulmonary fibrosis. 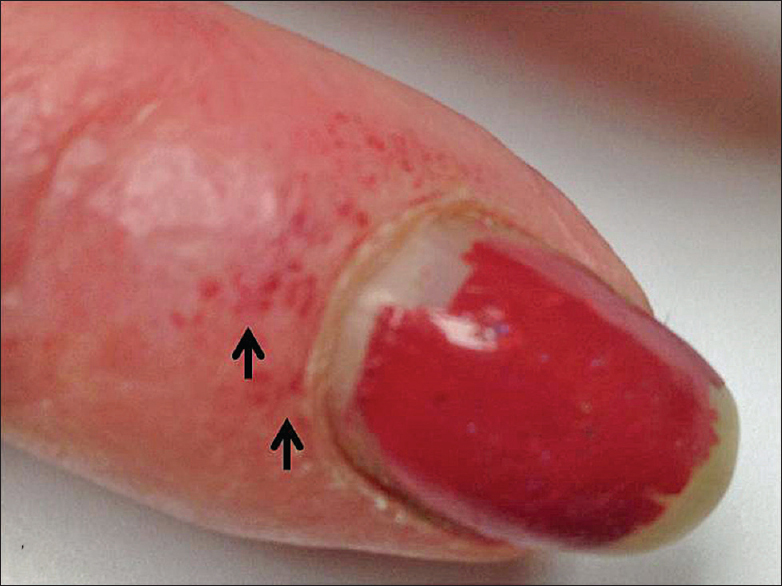 Finger nail changes are highly specific and are an indication for all healthcare providers that connective tissue diseases (CTDs) are likely underlying. We review the clinical signs and symptoms, review diagnostic criteria, and further testing to evaluate for CTDs. The following core competencies are addressed in this article: Patient care, Medical knowledge. Cutaneous appendages are uncommon anomalies reported as sporadic reports or small series in literature. Most of them resemble tail-like structure which ar arise in the midline and are associated with an underlying neuroanatomical anomaly in most instances. The presence of human tail-like structure over the scapular region is a rare event and has not been reported to the best knowledge of the authors. The following core competencies are addressed in this article: Medical knowledge, Patient care.